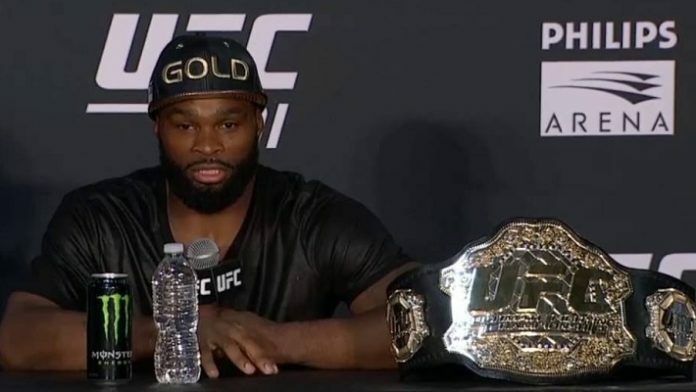 Following a successful UFC 228: Woodley vs. Till pay-per-view at the American Airlines Center in Dallas, Texas on Saturday night, UFC held their post-fight press conference. Featuring several of the big winners from Saturday night’s big event, including UFC Welterweight Champion Tyron Woodley, UFC Women’s Strawweight contender Jessica Andrade and rising UFC Flyweight contender Zabit Magomedsharipov, you can check out the complete UFC 228 post-fight press conference video below. For complete coverage of Saturday night’s big PPV in Dallas, check out our detailed UFC 228 Results: Woodley vs. Till. What did YOU think of Saturday night’s UFC 228: Woodley vs. Till PPV? Sound off in the Comments section below.